John Cowan is an American soul music and progressive bluegrass vocalist and bass guitar player. He was the lead vocalist and bass player for the New Grass Revival. John Cowan got his start in Louisville, where he played in scrappy rock outfits like Everyday People and Louisville Sound Department. In 1974, he auditioned as a bassist and vocalist for New Grass Revival, and together with Sam Bush and later bandmates Béla Fleck and Pat Flynn, led the charge of the 1980s' bluegrass revival. New Grass Revival disbanded in 1990 when Fleck departed for a solo career, but Cowan didn't slow down. He did distance himself a bit from NGR's acoustic foundation, however, choosing to tour as a solo rock act as well as front the country-rock band Sky Kings (with Poco's Rusty Young). But despite writing an album, arranging the artwork, releasing a single, and setting a release date (March 27, 1997), the Sky Kings' full-length sat on a shelf. Cowan next busied himself with solo work for the Sugar Hill label. His releases there included an ambitious self-titled effort in 2000, as well as the lower-key Always Take Me Back in 2002. 2000 had also seen the final release of the Sky Kings album From Out of the Blue; the set included the entire original LP, as well as demos and songs that were subsequently completed for the project. 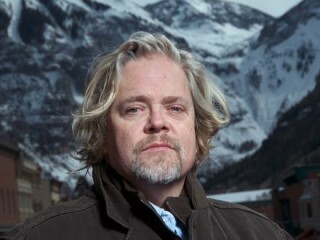 View the full website biography of John Cowan.